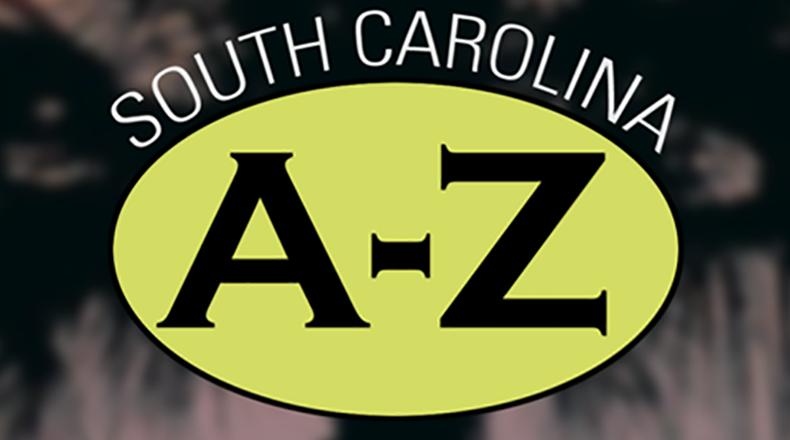 Credit SC Public Radio "P" is for Preston, William Campbell (1794-1860). U.S. Senator. A Virginian, Preston’s illness forced him to withdraw from Washington College. His parents sent him to the South Carolina College—from which he graduated in 1812. He then studied law at the University of Edinburgh in Scotland. After practicing law in Missouri and Virginia, he moved to South Carolina in 1824. This speices is the largest of the woodpeckers you will find in South Carolina. For many composers, getting started on a symphony can be a serious challenge. Johannes Brahms famously spent some twenty years completing his first such work. But for South Carolina composer Meira Warshauer, inspiration was a bit easier in coming. She found it in the world around her. Episode #403 (April 25, 2019) - Life for a Latinx immigrant family in the New South can be challenging and sometimes terrifying, but thankfully, there’s always a fiesta to take you through the night. Three Latina girls and a seasoned drag artist hose their own quinceañera, a complex and colorful rite of passage, showcasing the creative spirit of Latinx communities and their struggles to retain their roots and traditions. Update at 4:00 PM: Tornado Watches continue for most of the state, but the watch has been canceled for parts of the Low Country (including Charleston, Beaufort, Walterboro, and Hilton Head). Thunderstorms with damaging wind gusts will move through the Grand Strand area between 4 and 6 PM. Another line of thunderstorms from near Greenville/Spartanburg southward to near North Augusta is moving northeast and may affect the Columbia and Rock Hill areas between 5 and 6 PM. So far, this second line of thunderstorms has not been as damaging as the first line. Episode #402 (April 18, 2019) - The Glover family invites an indigenous activist group to start a protest camp on their land in West Texas. Roughly 20 miles north of the US-Mexico Border, the Two Rivers camp sets out to fight the same company that built the pipeline at Standing Rock. As more oil and gas projects threaten the region, their struggle reveals much about the colonial legacy of Texas and the price of activism. The annual PGA tournament held for half a century on Hilton Head Island is a big attraction, not just for long-time golf fans, but for budding ones, too. Each year the tournament seems to add more activities aimed at kids and incorporates ways they can interact with the players. Under slavery many African-American women had to work as field hands, or in the slave owners’ homes, doing domestic chores and raising the white children. Freedom meant that black women became mistresses of their own homes and could devote themselves to their families and communities. As soldiers were fighting overseas during World War I, there was another battle going on back home: the battle for a better life for African Americans. Historian Janet Hudson, speaking at a recent symposium on the war presented by Lander University in Greenwood, said even as they chafed under segregation and Jim Crow laws designed to keep them back socially and policially, black leaders saw the war as an opportunity to earn their rights by cooperating with white leaders and supporting the war through volunteering to fight, raising money and other means. On this special episode of South Carolina Lede, host Gavin Jackson looks back on the life and career of former South Carolina Governor and U.S. Senator Ernest "Fritz" Hollings, who passed away on Saturday, April 6, 2019 at the age of 97.